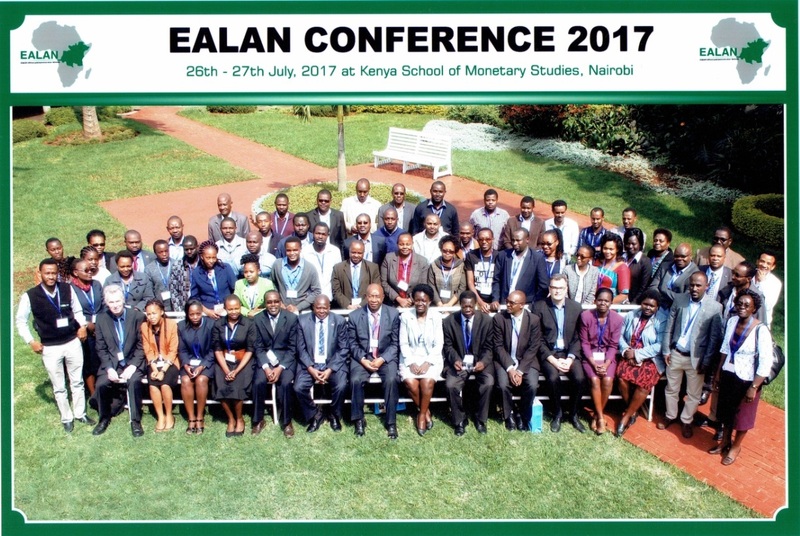 Kenya: The Eastern Africa Land Administration Network (EALAN) held its 9th annual general meeting and conference in Nairobi, Kenya from 24th till 27th July 2017. The event was hosted by the Department of Geospatial and Space Technology, University of Nairobi at the Kenya School of Monetary Studies. The theme of the conference was “Promoting Land Administration and Governance for Sustainable Development in Eastern Africa”. During the conference over 100 participants attended, with over 16 presentations including key note presentations. The network comprises mainly academic institutions with land administration programs. The Regional Centre for Mapping of Resources for Development (RCMRD) based in Nairobi, Kenya, is also a member. One of the key items of discussion was on the development of a more purpose oriented land administration. So far there is no complete coverage in land administration in most of EALANs member states. Traditional and conventional approaches do not bring the desired result so far. Many new tools and approaches are available today – among them more fit-for-purpose oriented approaches. Apart from the educated conventional approaches in surveying and land administration there was agreement that universities should embrace new and innovative approaches. This includes, for example, the use of imagery to support initial data acquisition for land administration. Rwanda has experience in this respect. Another important issue discussed is a proper organised linkage between Cadastre and Registry. Gender sensitive and pro-poor curricula are relevant. The network has determined to take the lead and set the agenda in this development. This is motivated by the fact that all knowledge is available and well represented in the network. The network is willing to organize this required change through the provision of short courses, education and comparative research. Existing partnerships with global partners will be further developed and new partnerships will be organised where needed – also with donors. EALAN provides a platform to its members for mutual exchange of knowledge and experiences in Land Administration and Land Governance for quality services to achieve sound Land Policy and Land Governance. It is one of the ambitions of EALAN to create awareness and educate stakeholders and especially vulnerable groups on the importance of land rights and land right documentation. The network organizes training and performs research on land administration and land governance for conflict resolution and regional stability – and advocates greater transparency in land governance and encourages application of best practices and fit-for-purpose approaches. EALAN envisions a society where land administration supports good governance and all land rights are recognized. Key guiding values in EALAN’s mission include: trust, cooperation, value addition, people centred, inclusiveness/equity, transparency and rule of law.